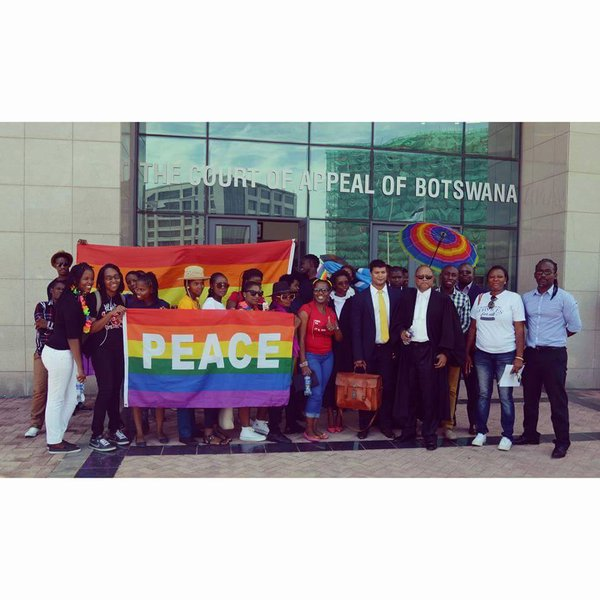 In March 2013, twenty individuals filed a case before the High Court of Botswana, asking the court to review the decision by the Director of Civil and National Registration and the Minister of Labour and Home Affairs to refuse to register the organisation, Lesbians, Gays and Bi-sexuals of Botswana (LEGABIBO). The case was supported by the Southern Africa Litigation Centre. Once registered, LEGABIBO aims to provide an opportunity for lesbians, gays and bisexuals to form part of an association which will provide them with information on human rights and advocate for their rights, particularly the right to access health services. The matter was heard in the Gaborone High Court on 18 March 2014 and judgment was delivered in favour of the Applicants on 14 November 2014. In December 2014, the Attorney General appealed the decision. The appeal was heard on 15 January 2016. On 16 March 2016, in a groundbreaking judgment, the Court of Appeal, per Justice Kirby, held that the decision to refuse registration was irrational and unconstitutional. The Court of Appeal held that the right to freedom of association was violated. The Court of Appeal emphasised that constitutional rights apply to ‘every person’ and that to deny this, is to deny a person’s human dignity. The Court held that there is no law which prohibits a person from being homosexual or for advocating for law reform. A summary of the Court of Appeal judgment is available here.